"The Italian Flashbike Formula. It calls for unique styling, unusual mechanical configuration and a scarcity of units. Inevitably, the mixture produces an eye-bulging price tag. 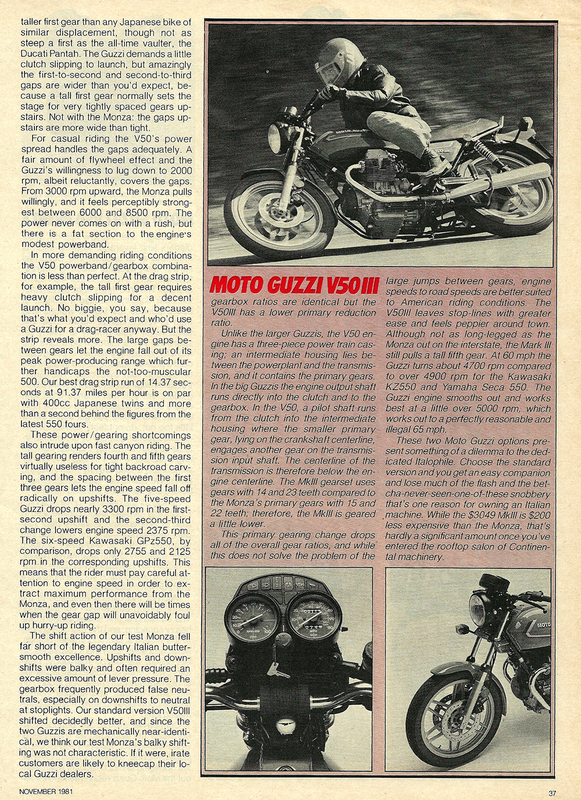 Guzzi engineers are expert chemists, and the Monza is Exotica manifest."